There's a jingle on Wall Street today. No, not Jingle Bells. It's the sound of money and optimism returning. The Dow ended 63 points higher, while the S&P 500 and Nasdaq also finished solidly higher (around 0.5%). 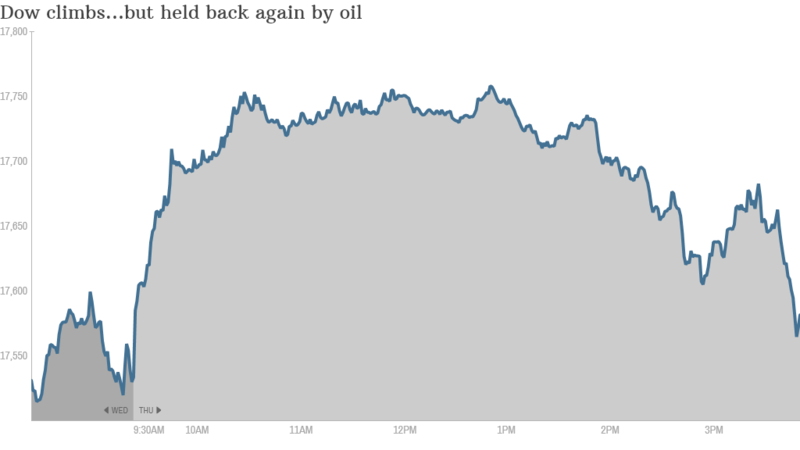 Thursday was a big psychological test for the market as oil fell below $60 a barrel for the first time since July 2009. It rattled traders. The Dow had been up above 200 points, but it quickly fell back. There's two ways to read this news, and investors are clearly conflicted. On the one hand, cheap gas is acting like a tax cut for consumers. On average, households have about $500 more to spend thanks to lower prices at the pump. While some will save that extra cash, others are likely to spend, which will boost the retail sector and overall economy. 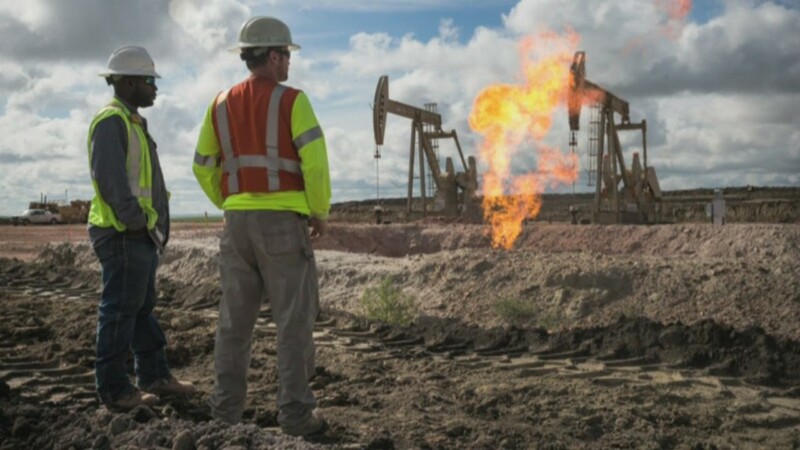 But the downside to under $59 oil is the cutbacks in the energy sector, especially natural gas, which has been a growth engine for the U.S. in recent years. Major producers like BP and ConocoPhillip (COP)have announced cutbacks to exploration and jobs. "Clearly, the velocity of the decline at minimum is very unsettling to investors, and raises uncertainty on many economic and market valuation assumptions," says Tim Anderson, Managing Director of MND Partners. Energy stocks have taken a beating as a result, although the major companies will likely come out of this stronger. The bottom line is investors still see improvement in the American economy. That's why the Dow is up over 6% for the year and the S&P 500 is up 10%. Is this the start of the "Santa Claus" rally investors have been waiting for? There's certainly hope, and it's getting some extra weight today from retail stocks. Staples (SPLS) had one of its best days on news that high-profile investor Starboard Value has taken a stake. Starboard likely wants to finally make a Staples-Office Depot marriage happen (a feat it's been trying to achieve since the 1990s). Urban Outfitters (URBN), the once troubled teen store, also led Thursday's rebound. The stock ticked up 7.6% after the company upgraded its holiday sales predictions. Overall, the holidays sales period is starting to look a lot merrier. Those in the know about the retail sector have been saying that you can't just look at Black Friday sales. The reality is more and more retailers are running promotions all throughout November and December. Retail sales for November that were released today appeared to confirm that. The forecast was for a meager 0.4% uptick, but this morning it turned out to be 0.7%. That's a win and should be indicative of a strong December as well. "The Saturday before Christmas -- Super Saturday -- is likely to be the No. 1 shopping day this year," says Bill Martin, the founder of ShopperTrak.